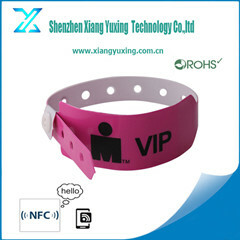 Disposable PVC Wristband - Shenzhen XiangYuXiang Technology Co.,Ltd. 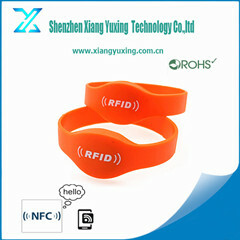 Well protected against water,moisture,shock and high temperature. Application range:airport parcel, postal parcel tracking, amusement park, bathing place,patient identification, mother-to-child identification,prison management,guardianship station management,etc.